No. 79 of the coffee producers with 4 tons of coffee a year. 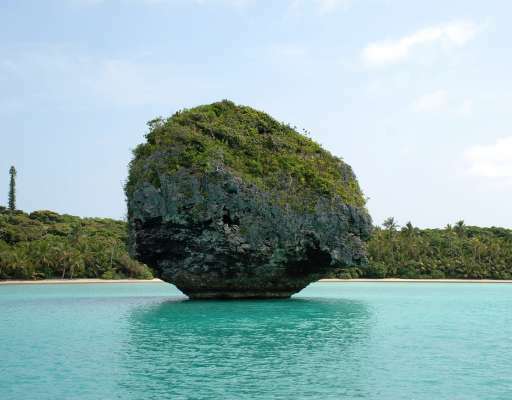 New Caledonia belongs to France and lies in the South Pacific between New Zealand and the Solomon Islands. In 1860, monks of the Marist School Brothers Order brought Arabica Bourbon Pointu from the island of La Réunion to New Caledonia. Already four years later, 60,000 coffee plants were grown and distributed mainly to settlers of the Canala region for cultivation. In the late 1880s, Arabica was grown on 60 ha and exported at a good price. Utopian plans for expansion to 47,000 ha and a production of 90,000 tons failed. When the coffee leaf rust attacked the plants in 1910, they began to grow Robusta coffee from Java, as it is more resistant. With further support, the harvest volume rose to 224 tons in 1932, and even to 541 tons in 1939, with the harvest being carried out by forced laborers. The decline of the coffee industry in New Caledonia began with World War II. In addition, in 1948, the devastating effects of the infestation of the coffee borer beetle. The very old traditional plantations were the main reason for further declining in the annual harvest volume between 1963 and 1973 to less than 108 tons. In 1975, the coffee industry was revived by introducing modern farming methods and new coffee varieties. 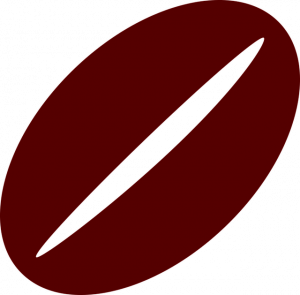 Today, there are 180 coffee farmers who grow Robusta and the Arabica varieties Bourbon Pointu, Bourbon Jaune and Farino Blue in the Northern Province. The pointu beans are due to the special quality, the low harvest volume and the high French labor costs one of the most expensive coffees in the world. The coffee gives a silky-soft mouthfeel and has a pleasant full body and a subtle acidity. Only with a light roast of Bourbon Pointu, the aromas of nut, apricot, cocoa and caramel develop completely and give a unique taste experience. So it is no surprise that famous people like Winston Churchill, Honore de Balzac and Jaques Chirac swear by the coffee of this archipelago.